A five mile stretch along I-8 in California in the San Diego area will have signs honoring Robert Rosas Jr., a popular border patrol agent who was killed in an ambush two years ago, the San Diego Union Tribune reported. A ceremony to unveil the signs is set for the fall, the paper reported. The memorial was cleared by the state legislature, and the National Border Patrol Council has pledged the $4,500 for the signs, the Tribune reported. “Robert Rosas we a true hero who gave the ultimate sacrifice in safeguarding our country,” said state Sen. Joel Anderson, according to the paper. 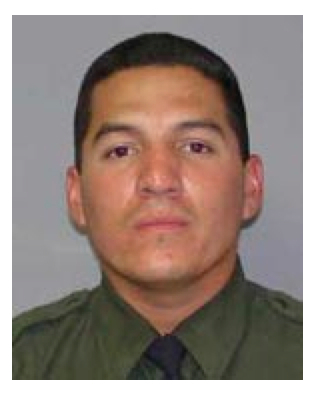 The Tribune reported that Rosas, 30, was on patrol on the night of July 23, 2009 along the Shockey Truck Trail when he was ambushed by a group of smugglers out to rob him. Posted: 7/14/11 at 10:07 AM under News Story.